Donate today to support local veterans! VOC Support Force is the special unit of donors who have committed funds to ensure that Veterans Outreach Center has the support needed to complete our daily missions all year long. To be a part of VOC Support Force, contact Kevin Gross, Development Associate, at 295-7833. Did you know you can designate part or all of your United Way donations to directly benefit the VOC? It’s easy! When filling out your UW paperwork, simply designate agency #1119 in Rochester. In other areas, you can write our name in as the organization to whom you would like to designate your gift. The kindness and generosity of our community who donate goods to VOC help us offer the best and most up-to-date services possible to our veterans. The items on the list are supplies we purchase regularly to support our daily activities, and if we do not have to purchase them, it will enable us more cash to spend directly on our programs. The items will ship directly to our door, so you will not have to deliver them to us. Thank you in advance for supporting VOC and the wonderful people we serve! A portion of your estate through a will, retirement plan, trust, etc. If your estate plans include Veterans Outreach Center, please let us know, using the button above, or by calling Kevin Gross, Development Associate, at 295-7833. Are you thinking of selling or trading in that old car, truck, boat, RV, or snowmobile? Why not donate it instead? Donating your old vehicle to The Veterans Outreach Center is convenient, easy, and may qualify you for a tax deduction. And best of all, your donation of a used car or truck will make a big difference in supporting programs at VOC. All you need to do is contact our vehicle donation partner, Vehicles for Charity at 1-866-628-2277 or complete their simple online form. Vehicles for Charity will pick up your vehicle for free, process the DMV papework, and sell the vehicle at auction. 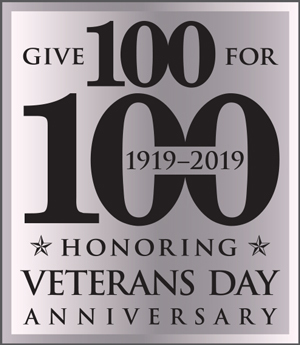 You will receive a tax receipt from Vehicles for Charity and proceeds from your donation will come to Veterans Outreach Center to support our programs. Your donation is tax deductible to the full extent of the law.